". 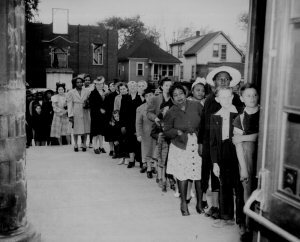 . . we here highly resolved that these dead shall not have died in vain . . . 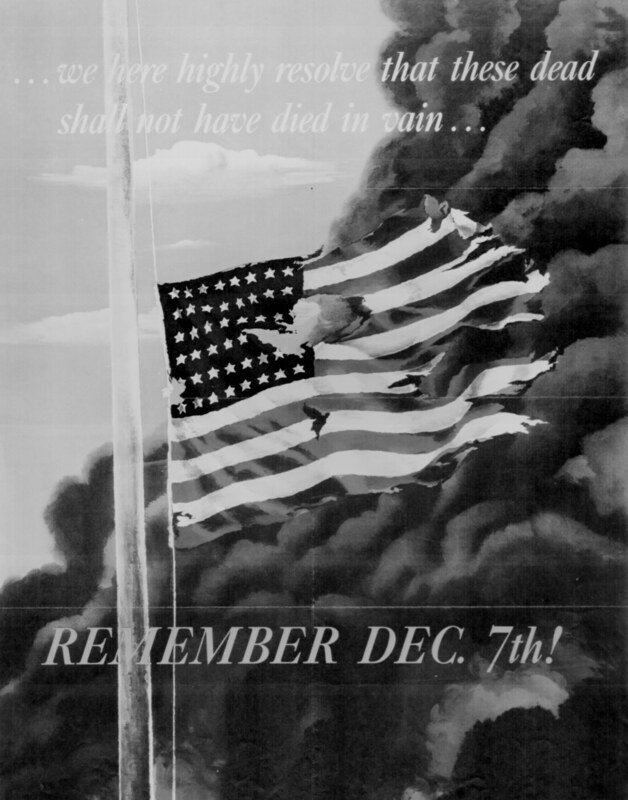 Remember Dec. 7th!" 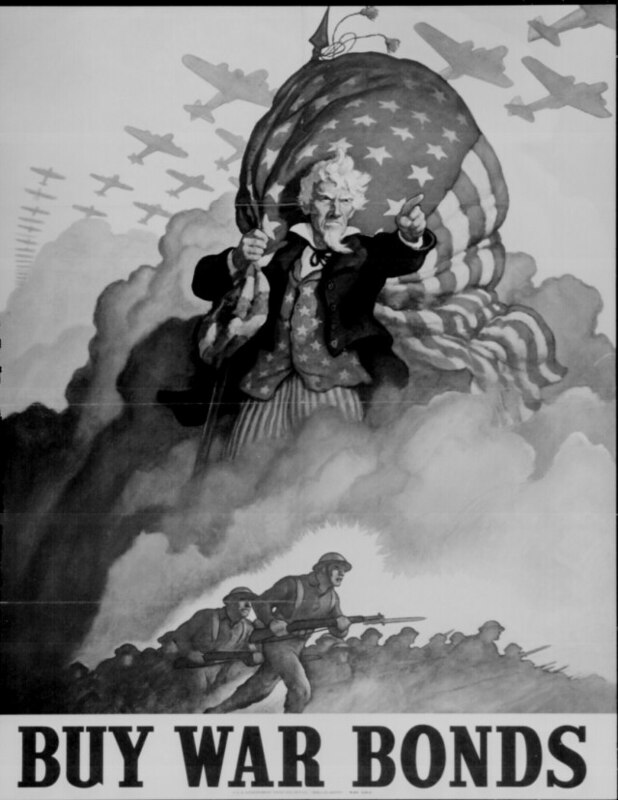 Poster by Allen Saalberg, 1942. 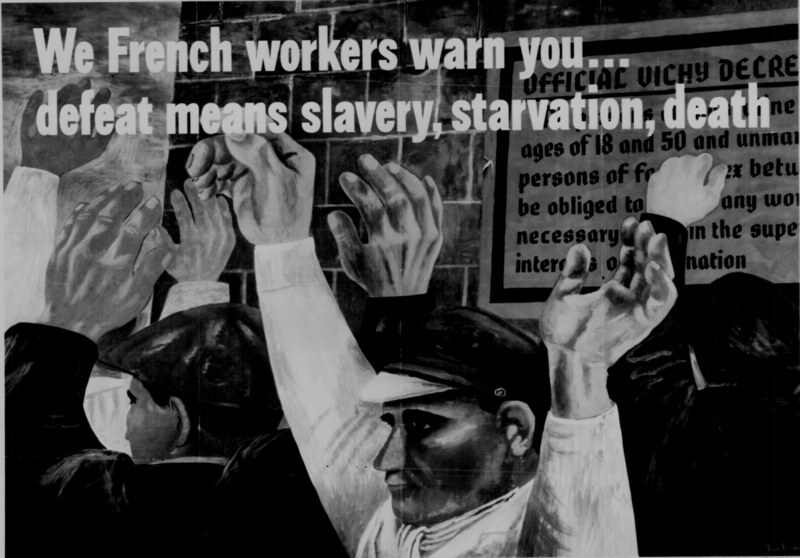 "We French workers warn you . . . defeat means slavery, starvation, death." 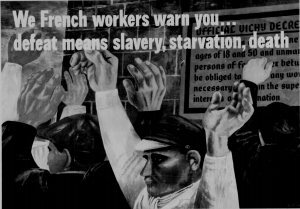 Poster by Ben Shahn, 1942. 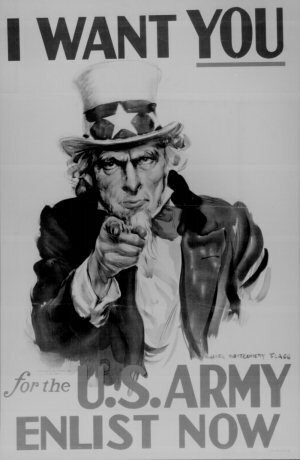 "I Want You for the U.S. Army. Enlist Now." 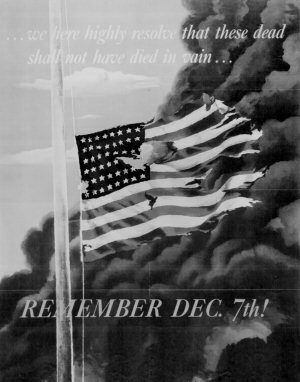 Poster by James Montgomery Flagg. 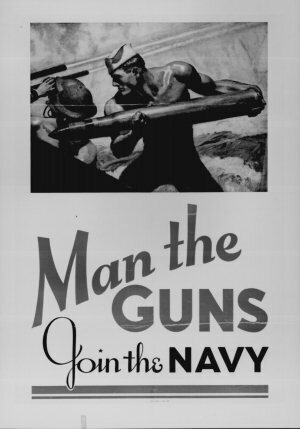 "Man the Guns. Join the Navy." Poster by McClelland Barclay, 1942. 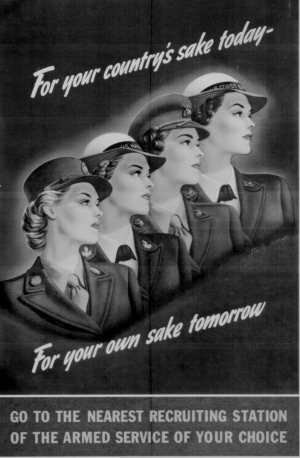 "For your country's sake today--For your own sake tomorrow. 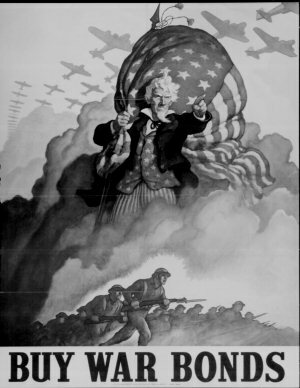 Go to the nearest recruiting station of the armed service of your choice." Poster by Steele Savage, 1944. "Buy War Bonds." Poster, 1942. "Harvesting bumper crop for Uncle Sam . Movie star Rita Hayworth sacrificed her bumpers for the duration. 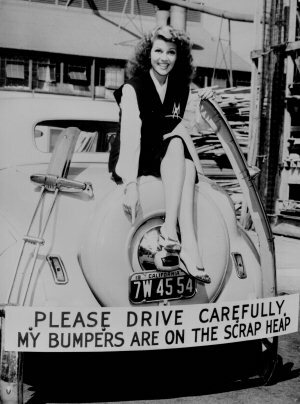 Besides setting an example by turning in unessential metal car parts, Miss Hayworth has been active in selling war bonds." 1942. "I'm conserving wool, this bathing suit's painted on." 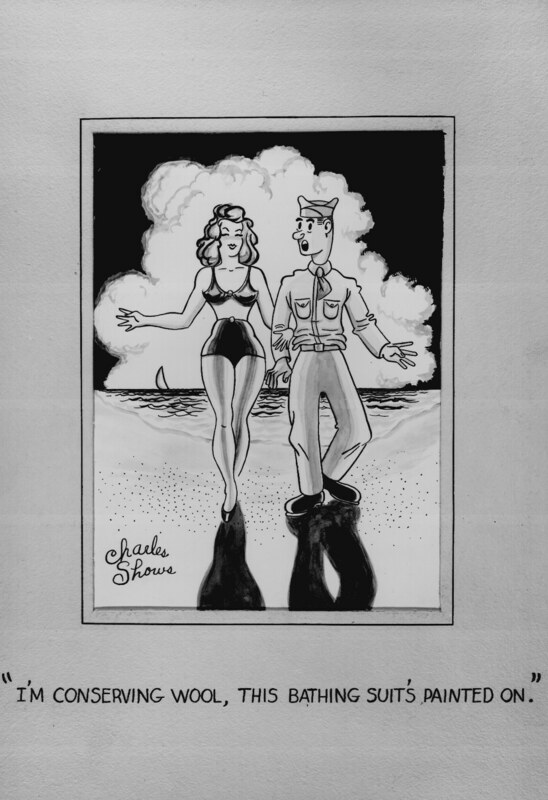 Cartoon drawing by Charles Shows. Sugar Rationing during the war	 "An eager school boy gets his first experience in using War Ration Book Two. 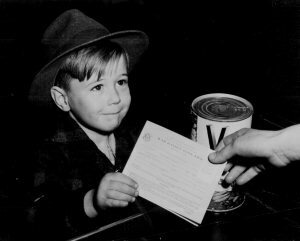 With many parents engaged in war work, children are being taught the facts of point rationing for helping out in family marketing." Alfred Palmer, February 1943.